The Theoretical Minimum: Leonard Susskind on what you need to know about physics. Can Physics Experiments Catch Up? 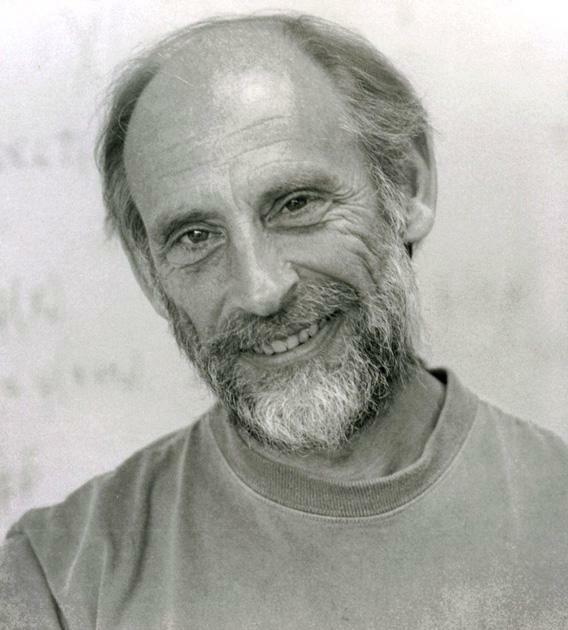 After abandoning family plans to go into the heating business, Leonard Susskind went on to become a founder of string theory. He is the director of the Stanford Institute for Theoretical Physics in California. His latest book, with George Hrabovsky, is The Theoretical Minimum: What You Need To Know To Start Doing Physics. Now he is teaching physics to people in their 90s. He talks to Anil Ananthaswamy about the language of physics and why new thinking is pushing experiments into the impossible. Anil Ananthaswamy: You teach physics at Stanford University’s continuing studies program. Who are the people that attend your classes? Leonard Susskind: They are in their 40s to 90s, and I mean that literally. There’s a lady in a wheelchair who was close to 95, and she was following the technical lectures. They are people who had other careers and I think are a little sorry that they never became physicists. AA: Are these the type of people you’ve written your new book for, which is not really popular science nor a physics textbook? LS: Over the years, I began to understand that there were a lot of people out there reading physics in popular literature that they could not understand—not because it was too advanced, but because it wasn’t advanced enough. At the same time, they were not about to plough through a big fat textbook. I wanted to give them a book from which they could learn easily and efficiently. It’s not for complete beginners; it represents the bare minimum you need to know to honestly and truly learn the subject and move on to the next step. AA: Hence the title The Theoretical Minimum? LS: Yes. The title goes back to Russian physicist Lev Landau, who did not suffer fools gladly. To him, the theoretical minimum was what a young physicist had to know to work with him, which was everything. That name stuck with me. AA: You are now in your 70s yourself. How did you get into physics as a young man? LS: I did not come from an academic background. My father was a smart man, but he had a fifth-grade education. He and all his friends were plumbers. They were all born around 1905 in great poverty in New York City and had to go to work when they were 12 or 13 years old. But sitting around the kitchen in our house, they had all sorts of interesting conversations. There was a funny intellectuality to them. I went to college because my father thought that I should learn engineering, because he wanted to go into the heating business with me. There I realized I wanted to be a physicist. I had to tell him, which was a somewhat traumatic experience. AA: What happened when you told your father? LS: For months I had been trying to figure out how to tell him. One day I drove over to his house. This is emblazoned in my memory: It was a terrible, terrible feeling. I said, “No, I want to be a physicist.” He said, “No, you ain’t gonna work in no drugstore.” I said, “No, no, a physicist, not a pharmacist.” And then I can’t remember the exact conversation, but I do remember the magic word was Einstein. I said I wanted to do what Einstein did. That just shocked him. Something snapped, and he decided right then and there that that is what I had to do. That was the end of it. From then on, my father tried very hard to learn a little about physics. AA: Did the experience of watching your father learn physics lead you to teaching older people and to write The Theoretical Minimum? LS: That’s an interesting question. I have some sympathy for people like that. And there is some similarity between my father’s friends who would sit around the kitchen table talking about everything and the people who come to my classes to learn physics. So, maybe an unconscious influence. AA: Most people, if they struggle with physics in school, give up on it. That’s not true of literature—people often come to enjoy reading later in life. Why is that? LS: The language of physics is mathematics, and it cannot be done honestly without mathematics. That makes it inaccessible. The language of literature is English or Chinese or whatever, and that makes it accessible. And literature is about the human condition. Physics is about the nonhuman condition. It’s not a taste that all human beings have. People are also social creatures, and literature fits in with that. Physics is perceived as a lonesome, nerdy kind of enterprise that has very little to do with human feelings and the things that excite people day-to-day about each other. Yet physicists in their own working environment are very social creatures. AA: How would you compare teaching physics with doing it? LS: I have a funny mental framework when I do physics. I create an imaginary audience in my head to explain things to—it is part of the way I think. For me, teaching and explaining, even to my imaginary audience, is part of the process. I’m a great believer that scientists should spend as much time as possible explaining, and you do explain in the process of teaching. AA: As a founder of string theory, you have spent a lot of time explaining the idea of a multiverse. Critics argue that the idea cannot be falsified experimentally, and say you have abandoned the scientific method in your theorizing. LS: You cannot stop thinking about something because somebody has a philosophical prejudice about the way science should be done. What constitutes good science will ultimately be decided by the scientists doing the work and not by philosophers or kibitzers—which is Yiddish for people who stand around yakking when they don’t really have anything to say. The multiverse idea could be falsified if someone came up with a solid mathematical argument for the value of dark energy that does not rely on the existence of a multiverse. AA: Given that we are grappling with far-out ideas like the multiverse, is doing physics different now than it was in the 1960s and 1970s? LS: I don’t think so. But it’s true that we have moved into a situation where much of the physics I and my friends do is so removed from observation that it’s a little scary. I don’t think this has to do with the quality of thought or the nature of the people who are doing it. It’s simply because, as you move forward, experiments get harder and harder. But what do you do about it? Do you stop yourself from thinking about it? No, you go ahead, assuming that at some point, observation will catch up. It was always that way for me. I’m doing physics because I’m curious about how it works—full speed ahead, damn the torpedoes, don’t worry about whether somebody is going to be able to do an experiment next week, just figure it out. 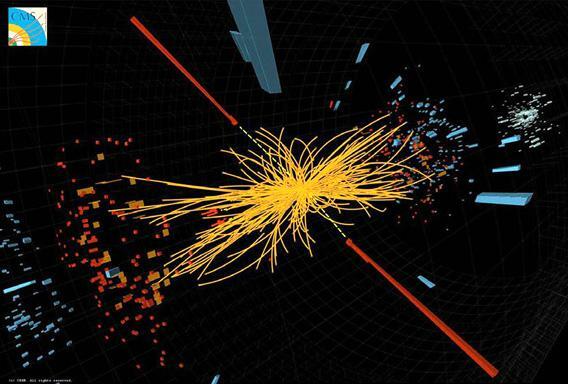 AA: Are you optimistic for the future of physics? LS: I believe you simply have to keep asking questions. If I have any worry or fear, it’s that the things we think about these days are so remote that experiments for some of them are simply unfeasible. You are not going to build an accelerator to probe string theory directly, or create a black hole in the lab. It’s conceivable that no matter how clever and creative the human mind is, we will come up against a blank wall because there are empirical things that we just can’t find out. AA: So do you think we’ll ever be able to truly solve the big questions in physics? LS: I’m a great believer in our ability to come up with the ideas necessary to solve the big questions. I have less confidence that we’ll be able to find a consensus about which ones are right without experiment. Physics is a very human enterprise, and the process of going from the human, the contentious, to the objective kernel of truth—textbook science—requires input from experiment. What’s going to happen when that becomes prohibitive? This article originally appeared in New Scientist.